Grainger Public Relations » Staff Matters! A Scottish accountancy firm has reached the final stages of Human Resources awards for its investment in its growing workforce. 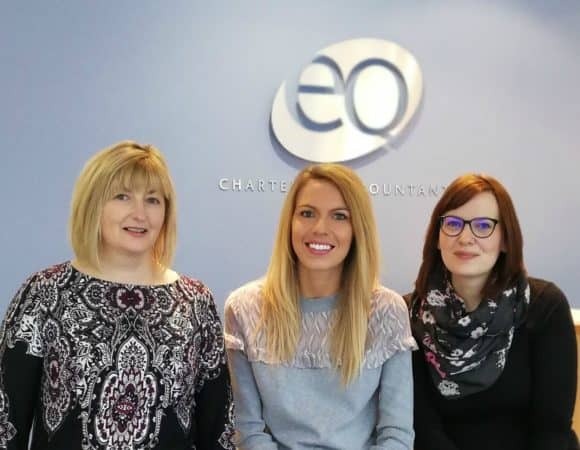 EQ Chartered Accountants, which has offices in Dundee, Forfar, Cupar and Glenrothes, has been shortlisted in the ‘Tremendous Learning and Development’ and ‘Exceptional Employee Engagement’ categories of the cHeRries Awards 2018. Now in their 11th year, the awards recognise excellence in the fields of human resources, training and recruitment in the North East of Scotland. Companies from across Scotland will be competing in ten categories of this year’s awards, with the winners announced at a gala dinner in Aberdeen on Friday 1 June 2018. EQ, who employ over 100 staff, required to demonstrate both the calibre of its HR team, who do all they can to ensure that staff feel valued and receive the highest standard of continued professional development, allowing them to provide the high-quality service clients expect. From EQ’s school leaver programme to graduate schemes, the firm believes in the power of home-grown talent and providing a fantastic, supportive environment in which staff can develop, regardless of their role. For more information, visit www.eqaccountants.co.uk or awards website https://www.dctevents.com/event/cherries-awards/.